Slightly edited version of an article originally published under the title "The 'Great Turkish Purge': Guilty Without Trial." In the twelve days ending on July 2, 1934 the Nazi regime carried out a series of executions against its remaining political opponents, claiming they were involved in plots by Sturmabteilung (SA) commander Ernst Röhm and others to overthrow the government. Hundreds were killed. The regime did not limit itself to a purge of the SA. Having already imprisoned social democrats and communists, Hitler used the so-called "Röhm Putsch" as an excuse to move against conservatives. 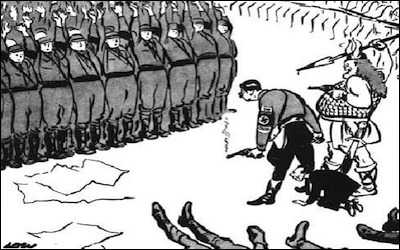 More killings followed, including Kurt von Schleicher, Hitler's predecessor as Chancellor, and von Schleicher's wife. The Gestapo also murdered several leaders of the disbanded Catholic Center Party. The Great Turkish Purge of 2016 brings tragedy to millions suspected of supporting Fethullah Gulen. 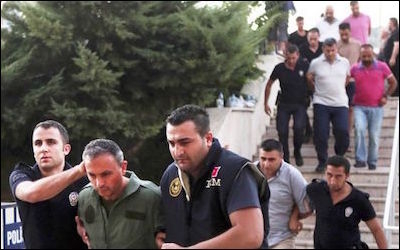 Since Turkey's failed July 15 coup attempt, tens of thousands of people have been jailed and over 100,000 civil servants have been fired from their jobs. 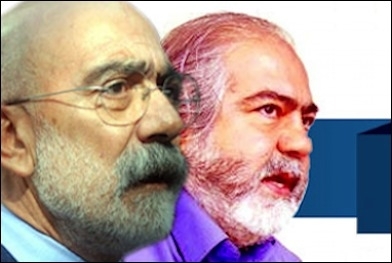 A Turkish prosecutor claims that journalist Ahmet Altan (left) and his brother, professor Mehmet Altan, sent out seditious "subliminal messages" during a TV debate.